celebrating indie artists: May Giveaway: Free Event Ticket Printing! May Giveaway: Free Event Ticket Printing! Due to the great Blogger Meltdown of 2011 we lost a couple of days on the giveaway (as well as several entries in the comments that were deleted by Blogger during the fix) UPrinting.com has agreed to extend the deadline! The new deadline is midnight May 20th. If you entered before and your entry isn't showing up below, feel free to re-enter now. Thanks, UPrinting.com! You guys are the best! Obviously this is awesome if you are planning any kind of event/concert/art show/whatever. If the event is larger than 50 attendees these can be for VIP tickets/backstage passes/collector's editions. These would be perfect for a raffle since they are already sequential! Or if tickets aren't your thing, they'd be great bookmarks with a picture of your art or your kid (or your kid's art) to send to fans, family, as a free gift with purchase, or even as a party favor (I'm thinking wedding favor with a pic of the bride and groom with the date or whatever). So many possibilities! They're giving me some too, but I think we'll be using them the conventional way. The boyfriend has a new album out soon, and this will likely tie in with that. There are multiple entry opportunities for one of you guys to snag some free tickets! Leave a separate comment for every action so that you get full credit for every entry! Leave a comment on this post saying how you would use the tickets if you won. Good for one entry. Blog about this giveaway, linking back here (and comment here that you did it). Good for one entry. Same deal on Facebook or MySpace or whatever other social networking site you use (and comment here that you did it). Good for one entry each. Tweet about the giveaway. (I'm @suchcoolstuff ) You can do one tweet per day for extra entries (and comment here every time you do it). Deadline for entry is 11:59PM Central time May 13, 2011. Good luck, y'all! 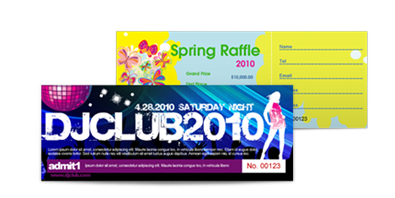 *This giveaway is sponsored by UPrinting, no monetary compensation was given and I will receive product for hosting. Check out more about UPrinting on Facebook and Twitter.